The Doon kit has moulded in rubber conduits underneath both sides and across the rear. These allow for the wiring loom to be run the whole length of the kit, whilst being hidden away for a neat installation and being fully weather protected. 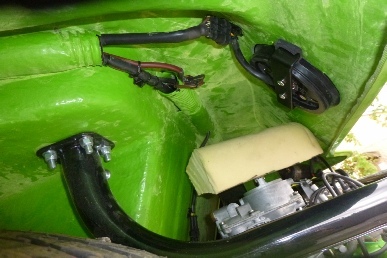 The conduit across the rear allows for wiring to the engine and rear lights to be neatly installed whilst being tucked away from the moving parts of the engine. 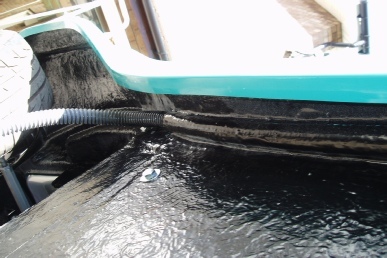 The conduits have an additional benefit of adding strength to the side areas where occupants tend to sit whilst entering and leaving the buggy.